Sounds like it could be a band name, eh? Anyways, I’ve never been a huge fan of curry, but when I found a thread on reddit “How do you make an authentic curry?” I thought… hey… all my friends like curry… so why not try it? 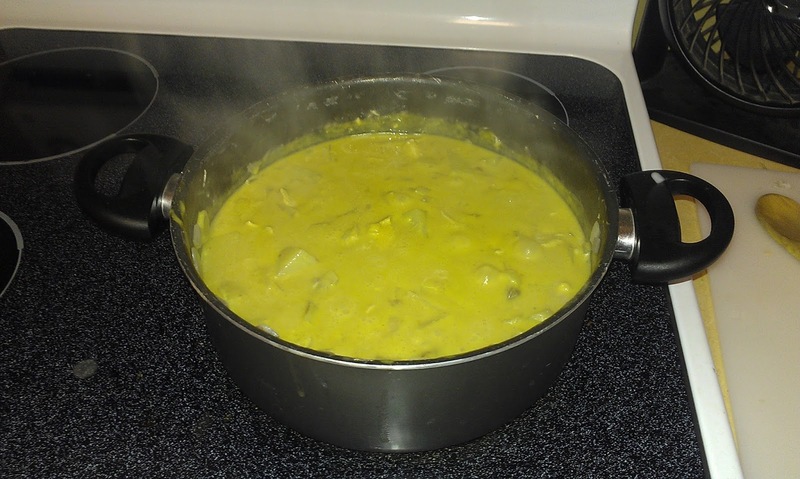 Naturally, being a reddit thread, there were plenty of recipes for curry. So I listed a bunch of ingredients and we took a trip to the Asian market and found them. 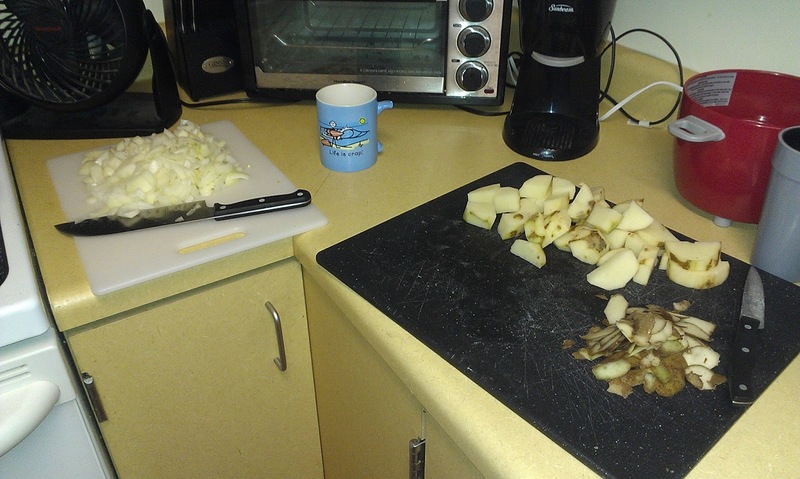 And started cooking. 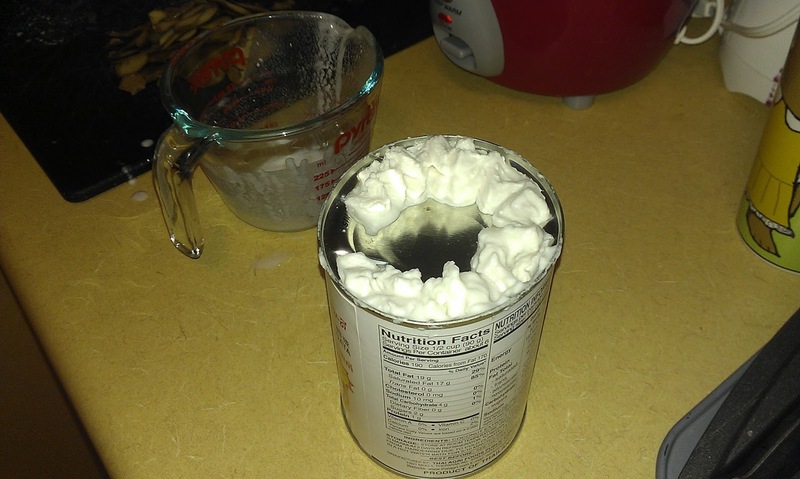 Admittedly this happened so long ago that I don’t actually remember much of the process or the recipe. But inevitably we had to chop things up. Two notes here – one, I was glad for how many cutting boards I had in my college kitchen. It meant I could chop a bunch of things up at once. 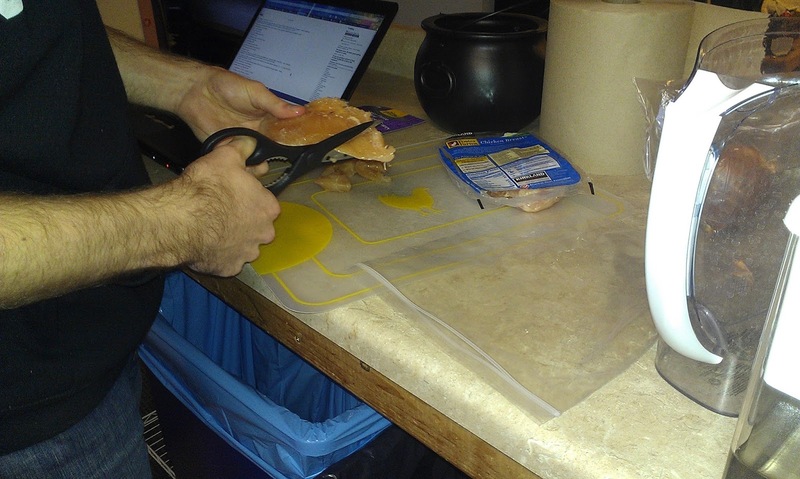 Two, it’s way easier to cut chicken with kitchen scissors than with a knife. It is also way harder to wash the scissors than a knife, but probably worth it. Here is probably where things started to be weird. The recipes we had called for the same ingredients in different proportions. So… I think we guessed. 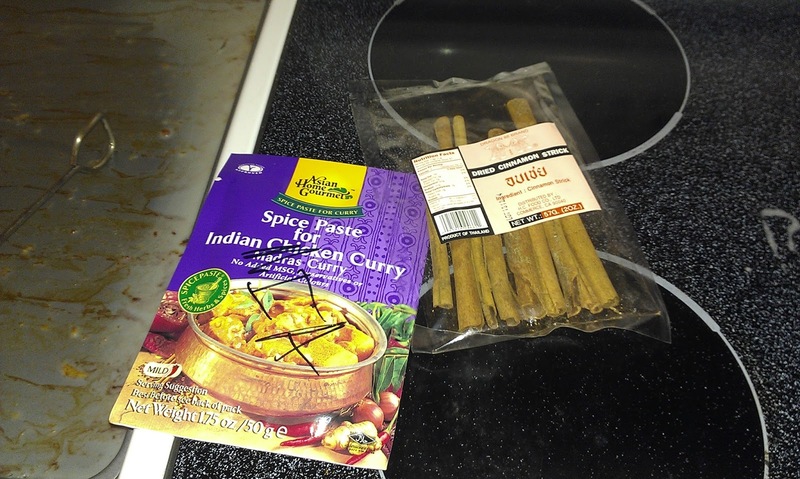 Anyways, we probably should have used the entire packet of curry paste. Also those cinnamon sticks were cool. 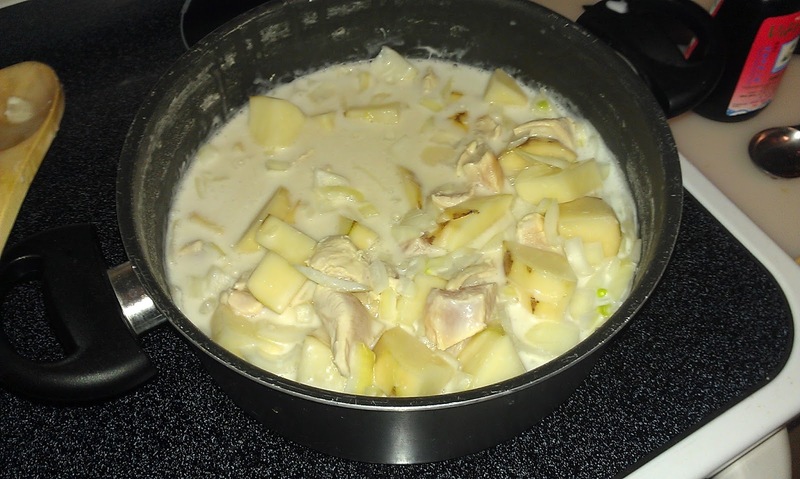 Everything gets dumped in a pot and cooked for a while. Which admittedly seems strange to me because chicken, but the chicken in this picture is clearly not cooked yet. This looks curry enough. Doesn’t it? 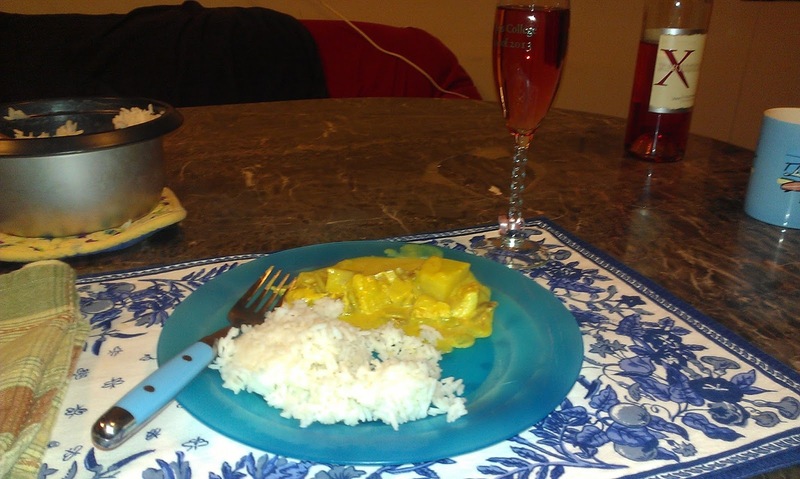 I actually ended up loving the curry – the spices were more diluted, and it was overwhelmingly coconutty. So I think next time we find a better recipe. On the bright side, the bottle of wine we’d decided to drink with the occasion just happened to claim to go well with Indian food. Total coincidence, I swear. I don’t have the slightest idea how to do wine pairings, but at least that part of the meal worked. (And, well, the part where I liked it).